Toot tooot. There’s my own horn. 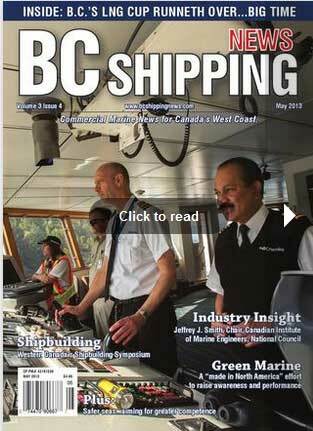 BC Shipping News has picked an article of mine featured here, a few months ago, about the realities of the marine engineering training efficiency in Western Canada over the past twenty years. The piece, Reap what you sow, was the first part of my larger exercise, exploring the marine engineer workforce situation in Canada. The article is in the May issue of the magazine, coming out shortly; you can read the other articles I penned, over at the www.blueriband.ca website, or on the main website, on the Ship’s Library page. I believe there is bound to be, if not already afoot, some major changes in the marine work force. For one instance, I was recently advised to keep an eye out on the Canada Gazette (a federal government document listing the changes to government laws and regulations). In particular, Transport Canada’s changes to Marine Personnel Regulation, and the forthcoming recognition of foreign Certificate of Competency in Canada – CoR. I am told this will entail a drop of traditional marine engineering assessment, per se, by TC Marine Safety. Additionally, I understand the Marine Emergency Duties “D” course, and the Propulsion Plant Simulator (PPS) course will not be required to get the CoR. Personally, I am not surprised at all, and see it as inevitable, after all, there has been no effective training program or support for Marine Engineers in Canada, to meet the nation’s needs. That was the point of my article(s). However, if you took those courses on your own, like most do, you will surely understand the ramification of such a move by Transport Canada. With the push for Temporary Foreign Worker Program (TFWP) visa and their ease of issue, and its great success for Canadian companies, our Canadian shipboard workplace is set for a major shift. The obvious result will be a further drop in wages, or at least a freeze for an indeterminate time frame. For those of us who have trudge in this very tough career path, laid out by TC and lacked support form Canadian operators and unions, for the last 15 years, it is a double kick in the gut really. Never mind the taxpayer angle as well, a triple kick to the gut, since those temporary worker don’t contribute to our communities or its tax base, and companies have low tax rates, guess who gets to pick up the tab. Great Economic Action Plan ! I don’t like to be dire, but for some reason this seems so obvious to me, as it is sad. Jeez ! This entry started out so positive, arggggh.